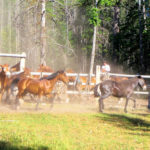 Riding experience on our trips varies from the very experienced to novice. 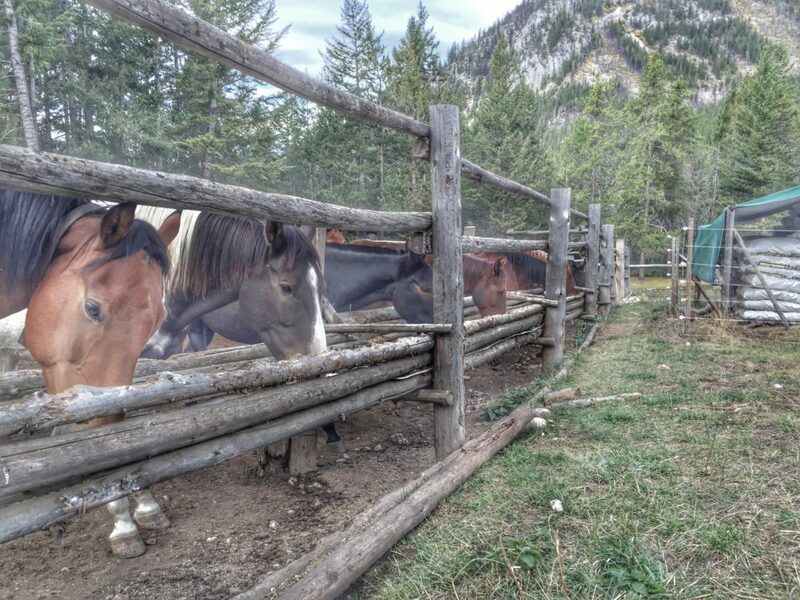 Our horses are well trained and gentle. 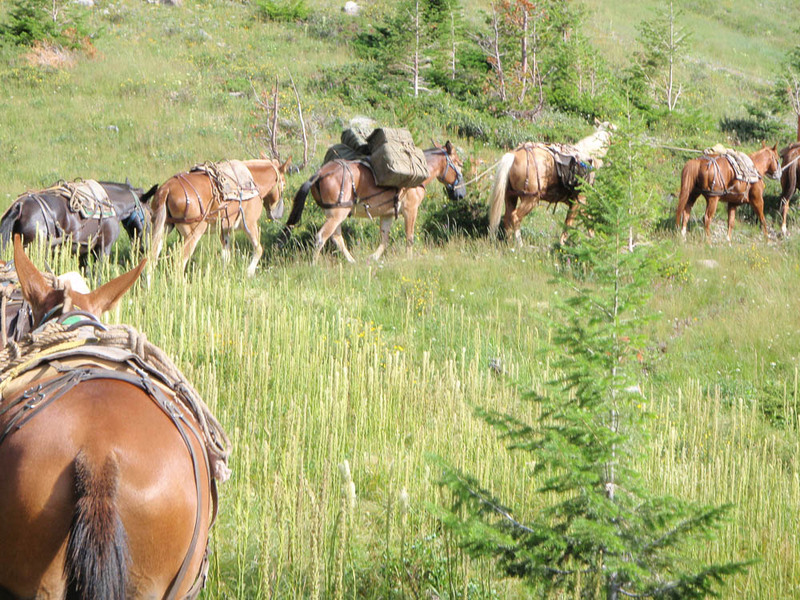 No riding experience is necessary to join these trips. 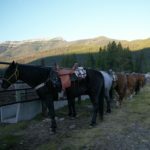 We take guests varying in age from 7 year old children to ladies and gentlemen who may be as old as the mountains themselves. 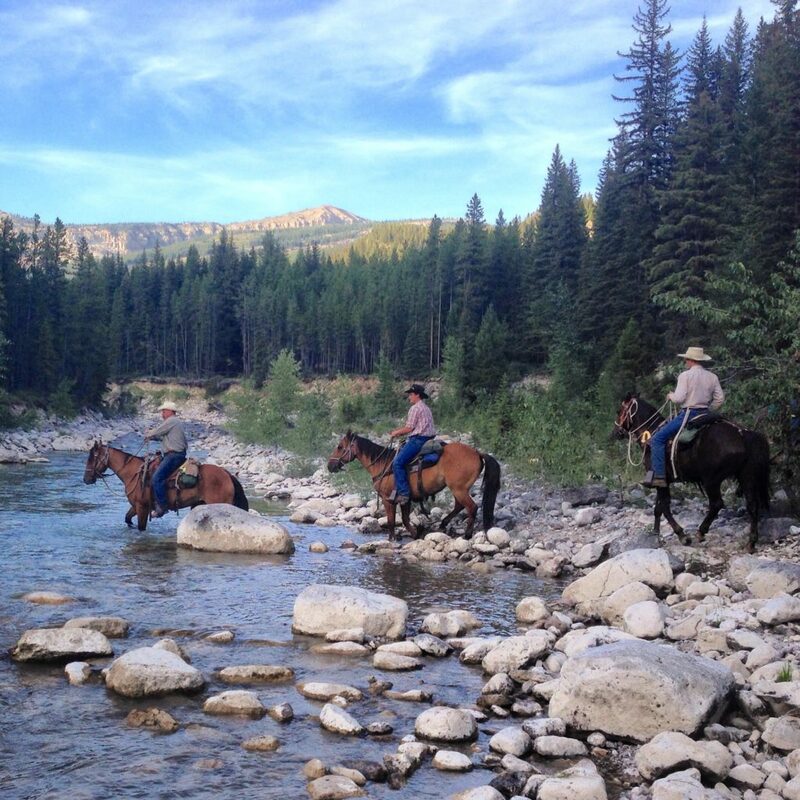 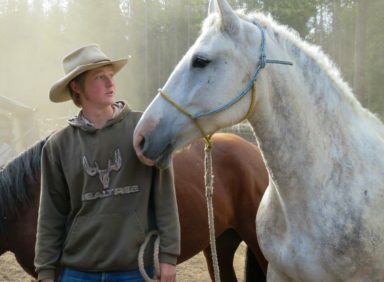 The relationship with your horse begins on the morning your trip departs for the wilderness. 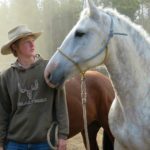 Before introducing you to your specific horse, you will be given a detailed instruction on proper handling, trail etiquette and safety. 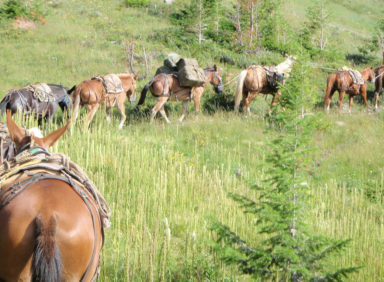 More lessons are learned on the trail, but we cover the basics before your adventures begins. We then introduce each guest to their assigned horse. 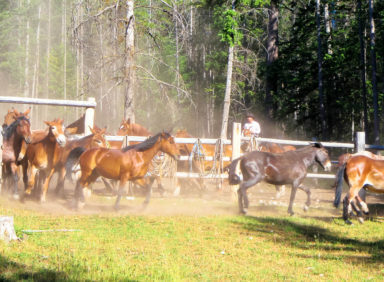 Riders are matched with horses based on rider size, experience, ability and attitude. 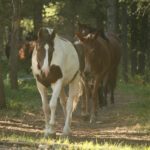 Each animal has its own personality, so after being introduced to your horse, more instruction on specific habits and quirks may be necessary. 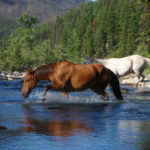 Though each animal has its quirks, they are as perfect as we can ask of them. 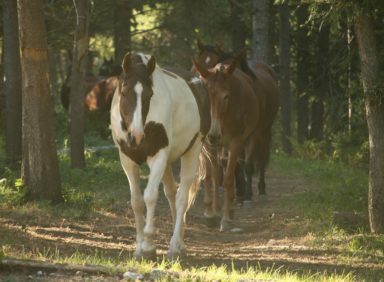 Once instructions and introductions are done, we will mount up and head down the trail. 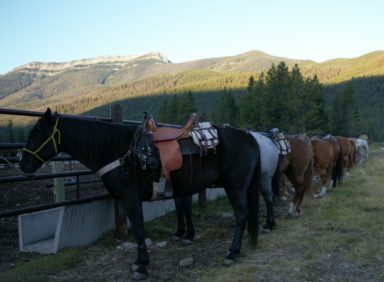 Even the intimidated rider who was nervous about the trip becomes perfectly at ease after a mile or two on the trail. 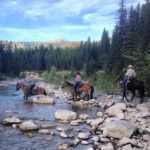 The miles pass quickly as we ride along the thick timber, crossing small mountain streams or rivers, and through parks where we can look out and see the splendor of the Rocky Mountains. Our horses are trail wise and alert so there are few stumbles or blunders. 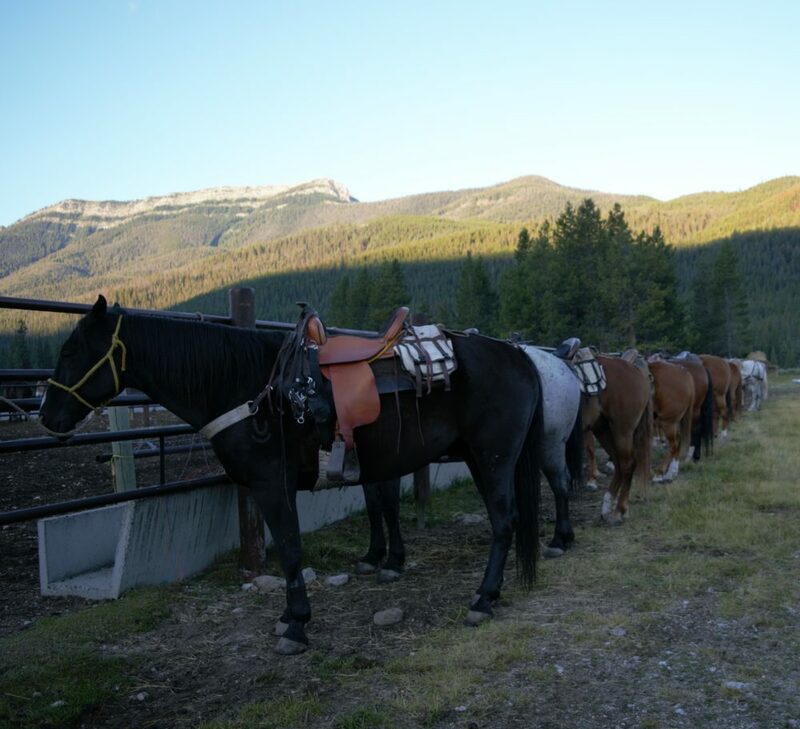 They work hard to keep you comfortable, though sometimes your backside may get a little sore. 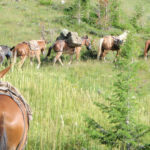 We also try to offer opportunities to walk and lead you horse on level or downhill slopes. 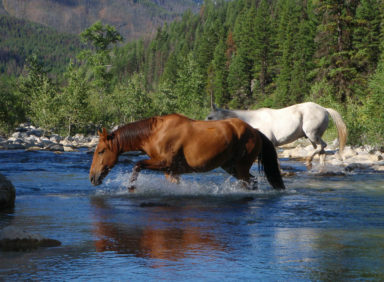 Walking helps to keep your muscles loose, and decreases the stiffness that may occur from too much time in the saddle. 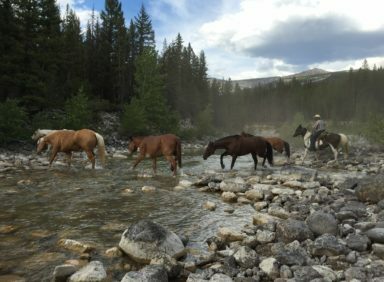 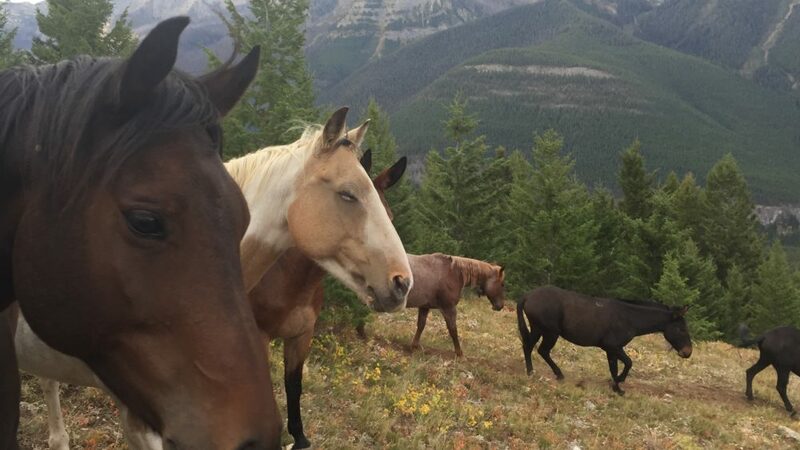 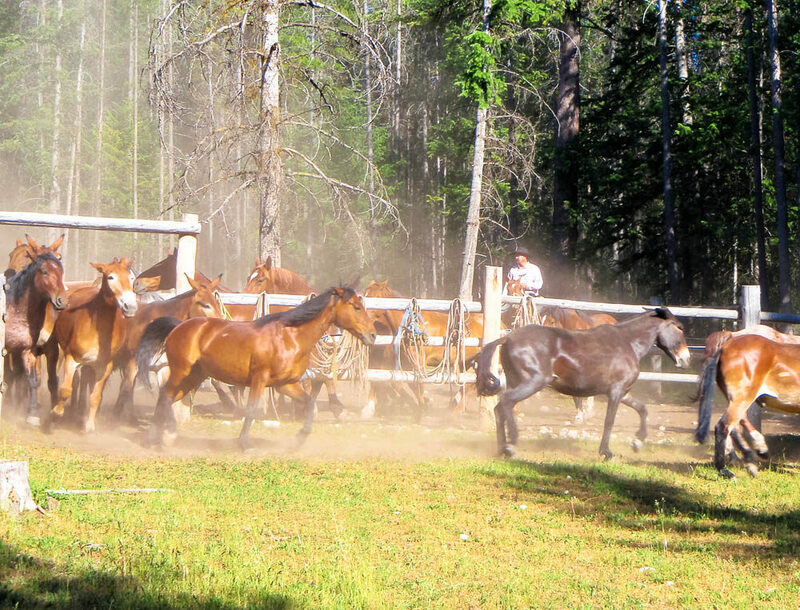 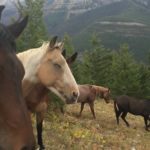 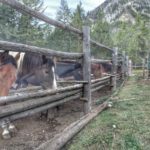 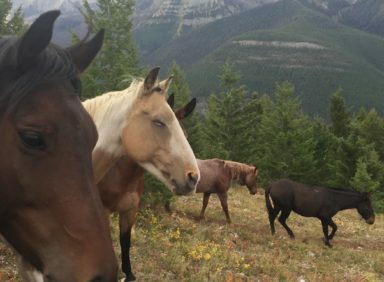 Some of the trusty mules and horses you may meet on your trip are Tagg, Tugg, Axle, Huey, Ivan, Sully, Maggie, Hawk, Simon, Buster, Klondike, Lamar, Mongo, Flash, Yukon, Gwen, Wyn, Dually, Gus, Sonny, and Blueberry. 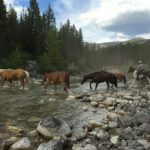 There are too many to name them all!! 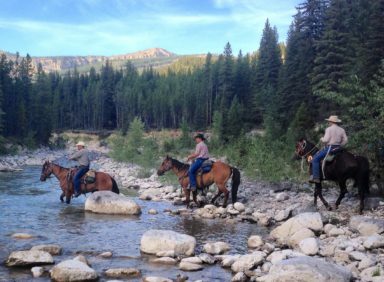 We own the horses and mules we use and have a great deal of respect for the work they do to make your trip the adventure of a lifetime.